Shown in Alligator Grain.1 1/8" wide. 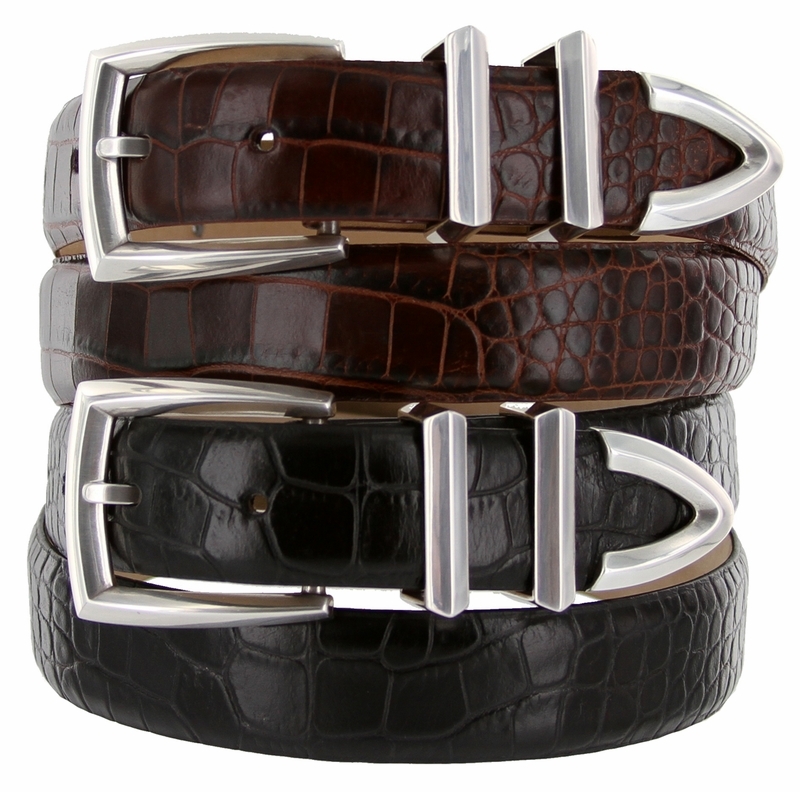 Sterling Silver finish Four Piece Buckle Set on Fine Italian Alligator embossed Calfskin strap. Lined with soft Genuine Leather.